​If you find that your gallery and source folder in Finder are not in sync follow these steps. 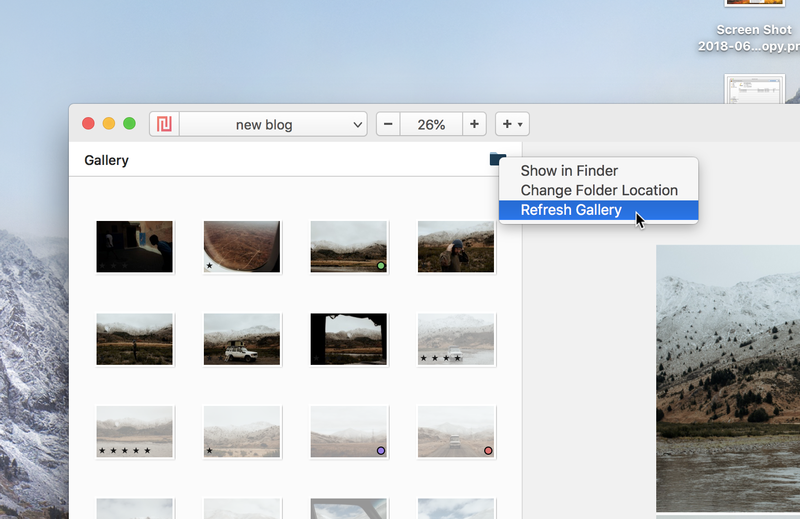 Sometimes your source folder in Finder and your gallery in Narrative are out of sync, there is now a menu item under the blue folder icon titled Refresh Gallery by clicking this Narrative will do a non-destructive sync of the folder. Photos that are in Finder but are not your gallery will be added. Photos that are in your gallery but have been removed from Finder will be removed from your gallery, if and only if they are not in your current layout.